In fact, I started “using” the Internet when I was in Réunion Island around 1994-1995. 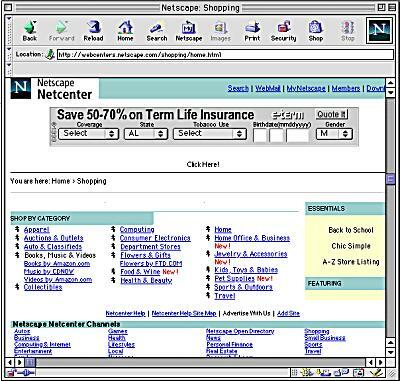 At that time, the Internet was very different from what it has evolved to now. 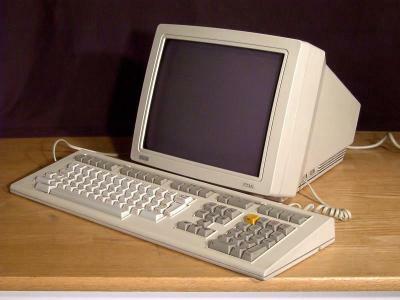 The client applications I used were very primitive ; I was transferring files from the U.S. at 40 bytes a second (yep!) and I was overwhelmed! There was another text-only mailer at that time called Pine but I didn’t like it a lot (for some very subjective reason I believe). 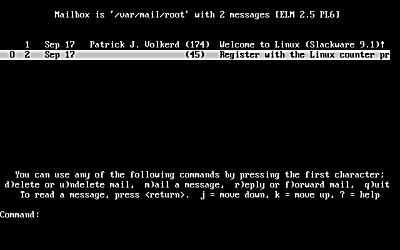 My first graphical email application was Outlook Express (on Win95 I think) then KMail then Evolution and now Mozilla Thunderbird (on Linux of course). What you need to realise is that I didn’t care about the ergonomics of the apps I used (even if I tend to think that old is gold in that case – some modern GUI apps are just too complex to use). What was revolutionary was the (mostly) real-time discussion that I could have with someone at the other side of the planet. I hope you all notice that he used a NeXT computer. 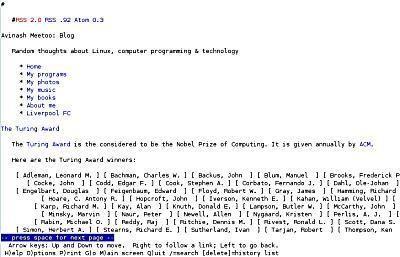 nice flashback :) I never asked myself who invented the web, thanks for the tip. i still use a lot of the terminal app or cli, i think is coming back thanks to tiling window manager. Personally, I’ve always lived on the command line. the bad old days, I am glad those are over. You’re right. 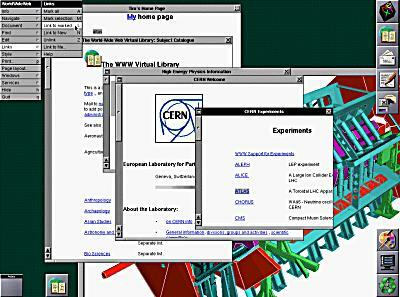 Modern browsers are so much more powerful than the old browsers and command line tools we had in the past. But, at the same time, links (http://links.twibright.com/) is very useful from time to time when working in an SSH session.